More than 1,600 student-members will compete in the 2019 SkillsUSA Florida State Leadership and Skills Conference set for April 7-9 in Pensacola. 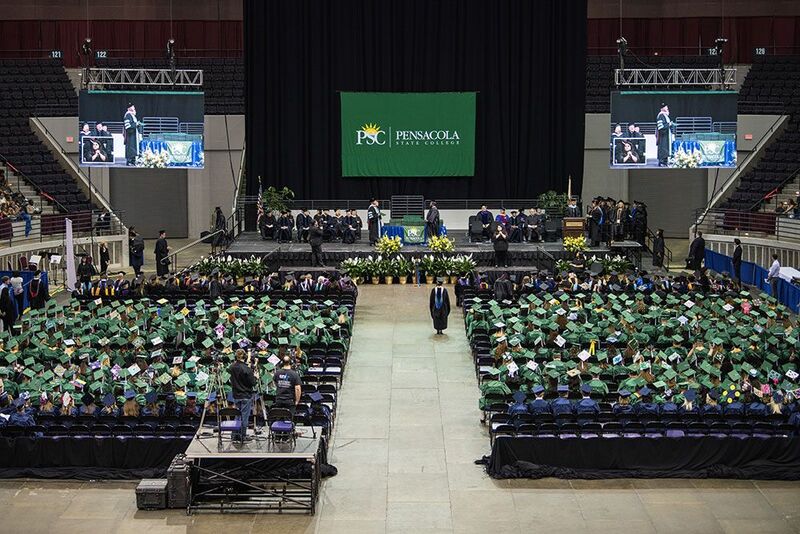 Hosted by Pensacola State College, the conference along with the Worlds of Possibilities Career Expo will be held at the Pensacola Bay Center. The event ─ the largest in the SkillsUSA Florida program history ─ is expected to attract more than 6,000 visitors to the area and have a $4.5 million impact on the economy. Accomplished trainer Jim Van Allan will be the keynote speaker during the opening ceremonies set for 8 p.m. Sunday, April 7, at the Bay Center. He will share tips on leadership, communication and culture. Competitions will be on Monday and Tuesday, April 8 and 9. SkillsUSA Florida student-members will participate in more than 100 competitions during the conference that is themed “SkillsUSA Florida: Champions at Work ─ Breaking Limits, Breaking Waves.” First-place winners will advance to the national conference in Louisville, Kentucky. Thousands of Escambia County and Santa Rosa County students also will visit the Worlds of Possibilities Career Expo on April 8 and April 9. The expo will include 13 hands-on interactive worlds, where more than 100 business and industry partners have set up exhibitions. The career expo will open to the public from 2-3 p.m. April 8 during the Worlds of Possibilities Job Fair set for 2-5 p.m. on the Bay Center’s third floor. Over 50 businesses and other entities including the City of Pensacola, Navy Federal Credit Union, Santa Rosa Medical Center, ST Engineering Aerospace and the U.S. Census Bureau will be on-site. This is the second consecutive year Pensacola State has hosted the SkillsUSA Florida conference. 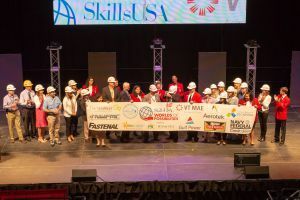 In 2016, Pensacola State President Ed Meadows and Stan Connally, former CEO of Gulf Power Co., announced the College had won the bid to host the 2018, 2019 and 2020 SkillsUSA Florida conferences. Pensacola State first hosted the statewide conferences in 2012, 2013 and 2014. Meadows said bringing the event back to Northwest Florida was an overall community effort. He also commended the SkillsUSA Florida student-members on earning spots at the state conference. Tile sponsors: VisitPensacola and Escambia County. Platinum sponsors: Build Your Future, Florida Energy Workforce Consortium, Gulf Power Co., National Center for Consortium Education and Research, ST Engineering Aerospace and the U.S. Army. Gold sponsors: CareerSource ESCAROSA, Fastenal, FloridaWest, MINDS●I Education, Navy Federal Credit Union, Northwest Florida Manufacturers Council and Technical Training Aids. Silver sponsors: Ascension, Comfort Systems USA Southeast, East Hill Building and Design, EREC, Florida Swimming Pool Association, Highpointe Hotel Corp, Home Builders Association of West Florida, Pensacola Energy, Penske, PowerSouth Energy Cooperative and Sacred Heart Health System. Bronze sponsors: AppRiver, Baptist Health Care, Bluegrass Educational Technologies, CBRE, Central Gulf Industrial Alliance, Escambia County School District, Fellows Foundation, George Stone Technical College, IBEW – NECA Apprenticeship and Training, International Facility Management Association Orlando Chapter, D.C. Jaeger, J-Tech Institute, Johnson and Wales University, Learning Labs Inc., Legendary Marine, Lincoln Tech, Locklin Technical College, Midsouth Paving Co., Northwest Florida State College, Ozark Delight Lollipops, Preferred Material Inc., Santa Rosa County School District, Universal Technical Institute, University of Northwestern Ohio, and the University of West Florida. SkillsUSA is a partnership of students, teachers and industry working together to ensure America has a skilled workforce. The national organization serves more than 360,000 students across the country. SkillsUSA Florida was founded in 1968 and serves 125 chapters and more than 12,000 members. 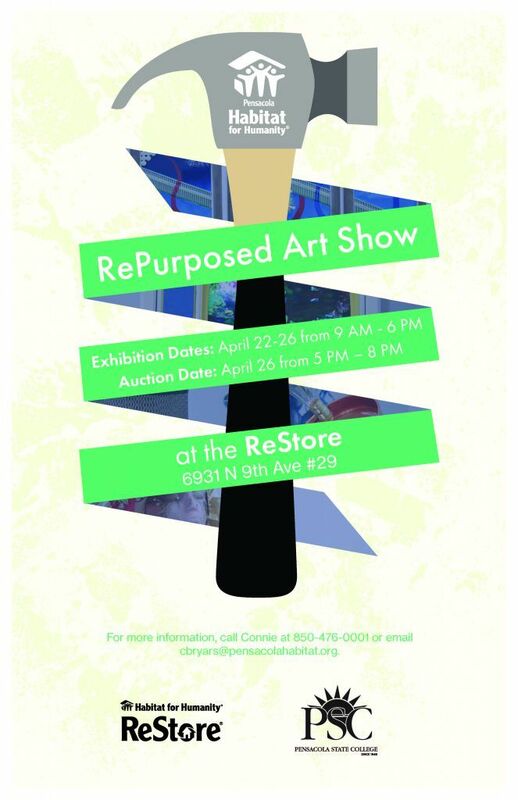 For more information, contact Ponson at 850-484-2245 or jponson@pensacolastate.edu.